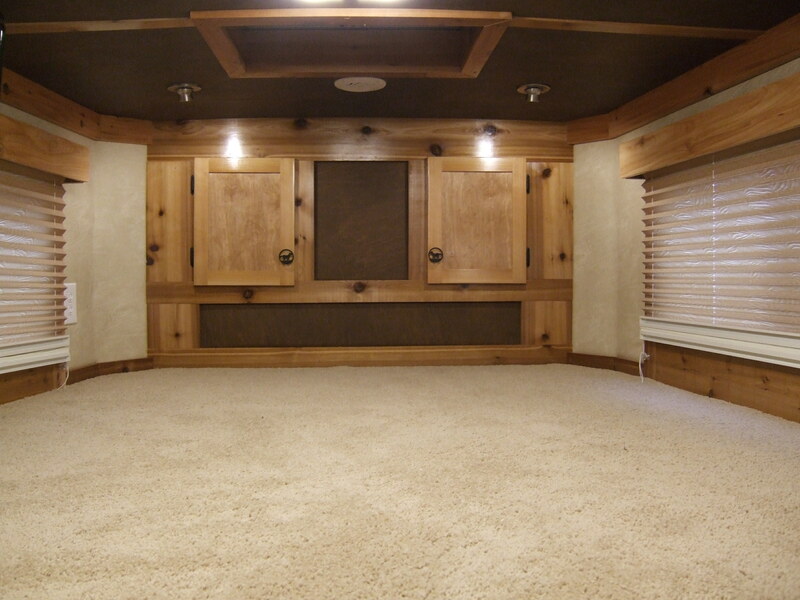 Custom Living Quarter Conversions - Horse Trailers, Cargo Trailers, & More! 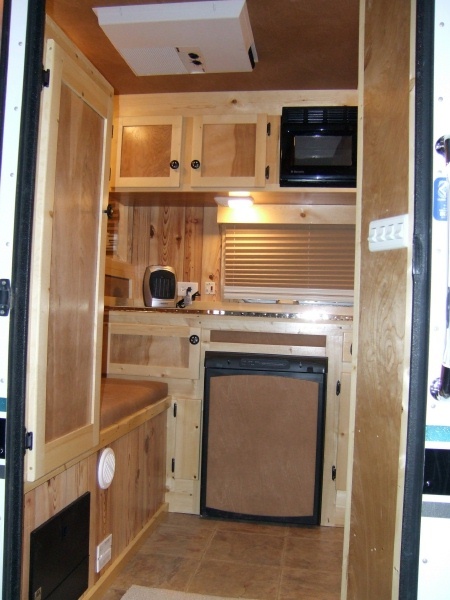 HomeCargo/motorcycle Trailer2'SW LQBasic 4' Package4' Basic Package w/bench seatMore Basic Package Pic4'SW Entry on LW4' SW Basic Bath Model4' Straight Wall Pictures4' & 5' S W Pics4' SW Toilet ModelMore 4'SW Toilet Closet Pics4'SW Bumper PullBP LQMore BP PicsAustralia 6' T/S combo in Cypress6' SW Cedar & Oak Package6' SW Package6'SW plus Half wall move T/S Combo6' Straight Wall7' S W PicsAustralia 8'sw8' SW Cedar & Oak Pics8' SWRandom pics10' SW Oak Package10' Cedar10' & LargerFinished Cedar Packages11' SWCypress on 22' SWGotta See! 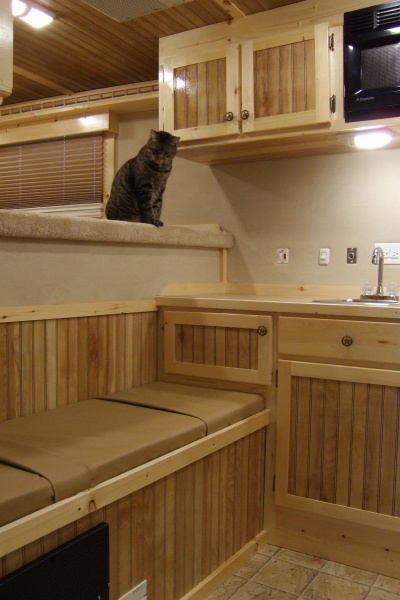 Great Trailer!Popular OptionsOther SpecialtiesJust a few pictures of our trail rides!Let us contact you..
LET US PUT A CUSTOM LQ PACKAGE IN YOUR TRAILER!! 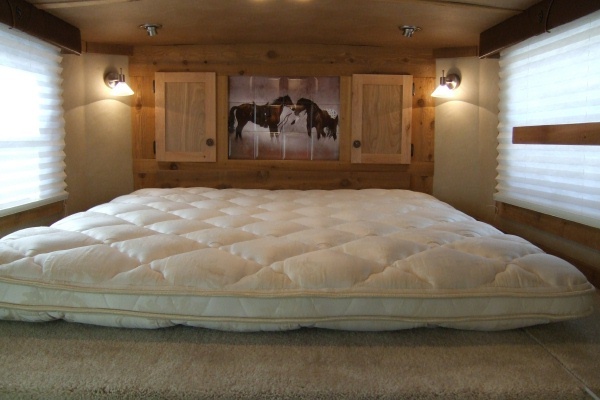 WHY PAY FOR THAT EXPENSIVE MOTEL WHEN YOU CAN STAY CLOSE TO YOUR HORSES..
DO YOU CAMP OR HUNT? WHY SLEEP ON THE GROUND WHEN YOU CAN SLEEP IN COMFORT!! WANT TO SET UP AN APPOINTMENT?? Finished Cypress and Oak Packages are also available. 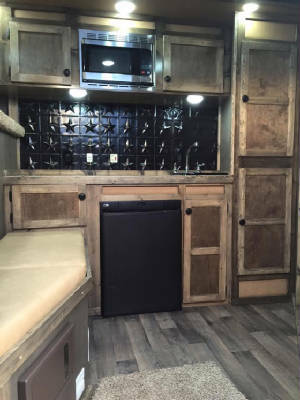 Ask about upgrading..
We have added leather look soft touch vinyl wall covering, the customer wanted bead board on the ceiling, up-wall, and door insert on the cabinets. 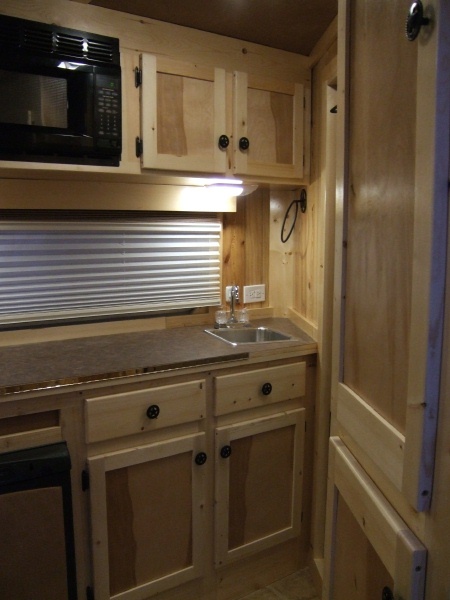 All the cabinets and trim are in knotty pine. 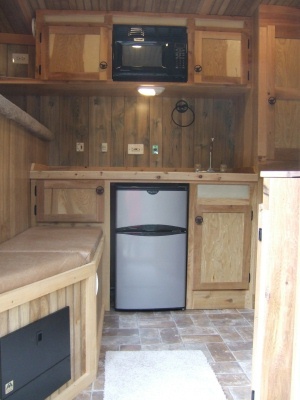 How about an AC only refrigerator, built in microwave, and corner closet? 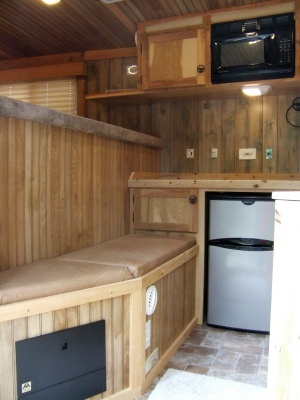 This is a picture of our Basic Cypress Paneling with Cedar. 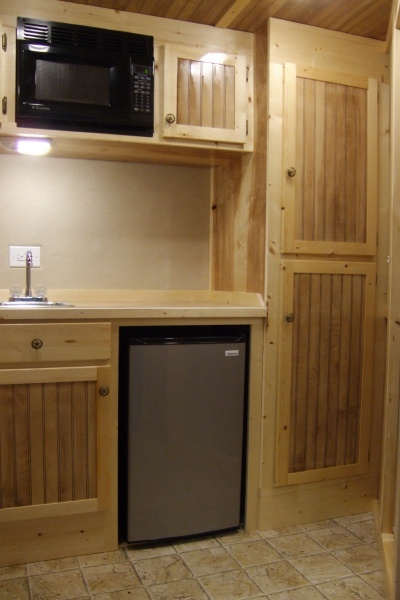 The TV stand and refrigerator are just a couple of things that you can add. Nothing is prettier than CEDAR! !